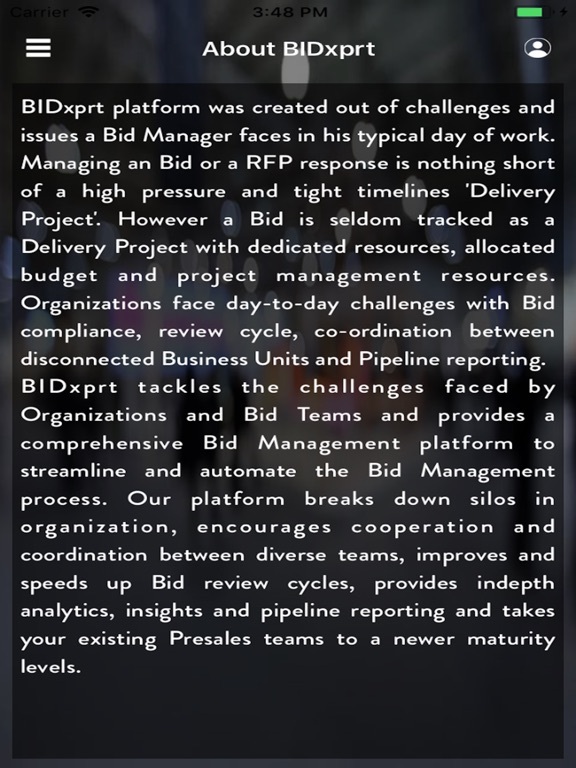 BIDxprt platform was created out of challenges and issues a Bid Manager faces in his typical day of work. Managing an Bid or a RFP response is nothing short of a high pressure and tight timelines 'Delivery Project'. However a Bid is seldom tracked as a Delivery Project with dedicated resources, allocated budget and project management resources. 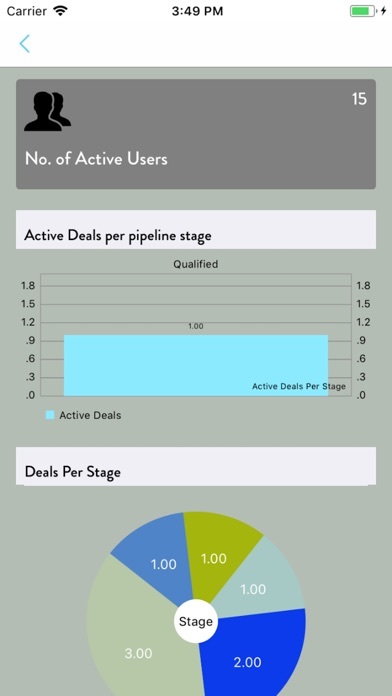 Organizations face day-to-day challenges with Bid compliance, review cycle, co-ordination between disconnected Business Units and Pipeline reporting. 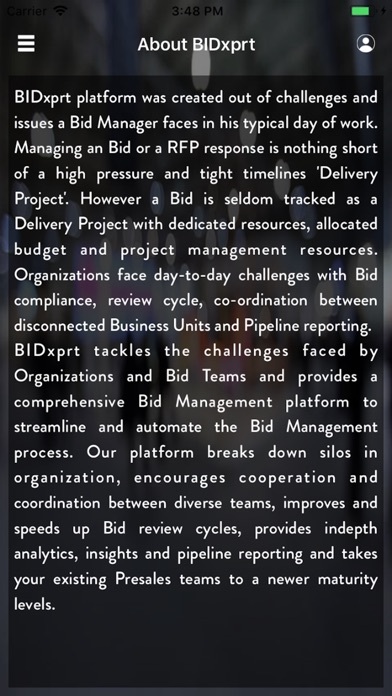 BIDxprt tackles the challenges faced by Organizations and Bid Teams and provides a comprehensive Bid Management platform to streamline and automate the Bid Management process. 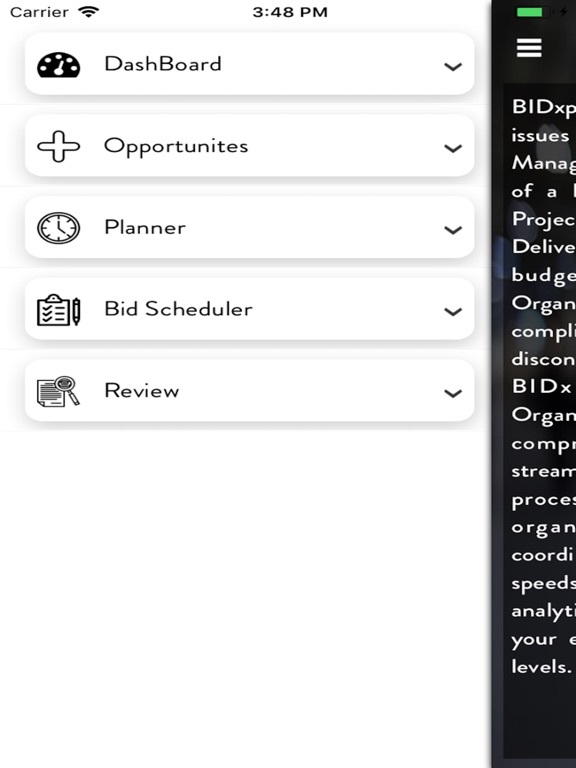 Our platform breaks down silos in organization, encourages cooperation and coordination between diverse teams, improves and speeds up Bid review cycles, provides indepth analytics, insights and pipeline reporting and takes your existing Presales teams to a newer maturity levels. 袋分家計簿 Pro - シンプル、簡単管理で効果はバツグン ..